According to Nasa’s Jet Propulsion Laboratory (JPL), the successor to the 2012 Curiosity rover, equipped with seven new instruments and re-constructed wheels is expected to launch in July or August 2020. While NASA's Mars 2020 mission is around the corner, the American space agency has unveiled an unnamed rover vehicle which will search for signs of ancient microbial life in areas of the uninhabitable red planet. 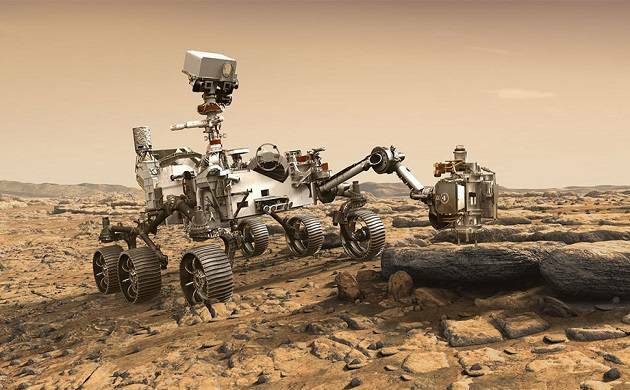 According to Nasa’s Jet Propulsion Laboratory (JPL), the successor to the 2012 Curiosity rover is equipped with seven new instruments and re-constructed wheels and is expected to launch in July or August 2020. With the latest rover vehicle scientists will study the Mars terrain, above and below the surface, and collect soil and rock samples. Talking about their latest launch Ken Farley, a JPL scientist has said, What we learn from the samples collected during this mission has the potential to address whether we’re alone in the universe." JPL is further trying to update the rover with a new landing technology which will help in visiting sites deemed too risky for Curiosity and shave miles off its journey. According to Mars Exploration Program Director Jim Watzin, "the presence of technology to explore the Red Planet reduces the risks with this launch." "Through this mission, NASA will attempt to study the currently Martian terrain, and create a soil map of the planet," Watzin added further. Moreover, this is not the first time, the National Aeronautics and Space Administration has previously landed spacecraft on the red planet seven times and joined hands with the International Space Station for their forthcoming missions to Mars and Moon. Also Read: Aliens to decode radio signals sent from Earth? Here is what METI scientists claim!